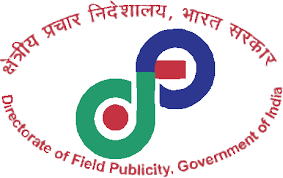 Directorate of Field Publicity, New Delhi invited applications for the post of Stenographer Grade-II on deputation basis. Apply through prescribed format within 60 (5 July 2017) days from the date of publication of this advertisement. Directorate of Field Publicity, New Delhi invited applications for the post of Stenographer Grade-II on deputation basis. The candidates eligible for the post can apply through prescribed format within 60 (5 July 2017) days from the date of publication of this advertisement. Officers of the Central Government holding analogous posts on regular basis with ten years of regular service in the grade of Rs.4000-6000 and Possessing a speed of 100 words per minute in Stenography (English/Hindi). Eligible candidates can apply to the post through the prescribed format and send the applications along with other necessary documents to the Director, Directorate of Field Publicity, Ministry of I&B, Room No. 584, 5th Floor, Soochna Bhawan, 8, CGO Complex, Lodhi Road, New Delhi-110003 within 60 days (5 July 2017) from the date of publication of this advertisement.